Unrivalled support: the student book offers complete support for the mandatory units, including those for the pathways, and valuable sector information and skills for all learners working towards a Certificate, Subsidiary Diploma, Diploma or Extended Diploma. 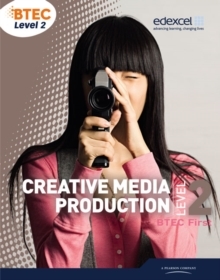 Help learners achieve their potential: comprehensive assessment activities, with grading tips for pass, merit and distinction to encourage best practice, independent learning and the development of specialist media skills. Edexcel's Assignment tips: written and reviewed by experts in the BTEC team, these give invaluable advice on working towards higher grades for all assignments. Bring the media industry to the classroom: WorkSpace case studies take your learners into the real world of work, showing them how they can apply their knowledge in a real-life context. 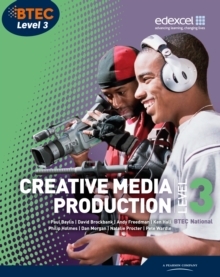 Develop the professionals of the future: the focus on the pathways helps learners to develop the important skills and understanding of the media industry whether they become journalists, games developers, media technicians or digital specialists for example.